As retail and corporate bank, ABN AMRO is constantly looking for ways to contribute to an inclusive and green society. Join Richard Koolos, head of Sustainable Banking: "I found a lot of potential opportunities, and some initiatives that were not being taken advantage of". This solution is part of a larger series that were published in 2016. 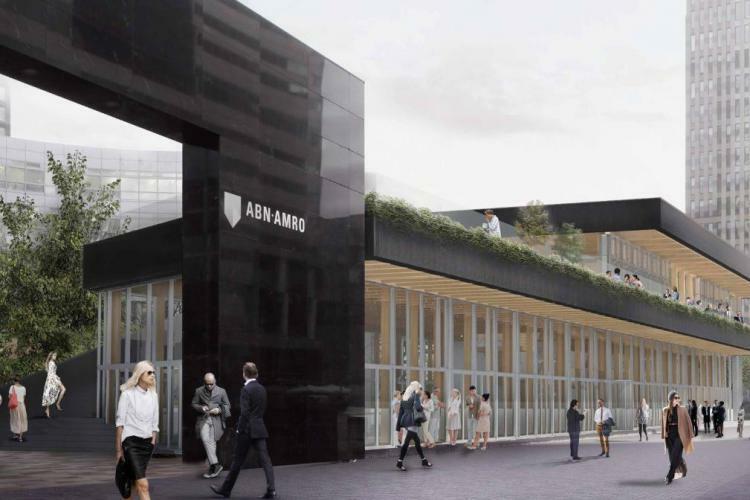 ABN AMRO is a mainstream retail bank & corporate bank with EUR 275 bn in lending to companies and households, of which approximately EUR 190 bn is for mortgages and real estate. ABN AMRO serves the whole economy, from day green to grey, from very sustainable to mainstream business, and tries to inspire everybody to take the next step towards becoming more sustainable. ABN AMRO's impact is caused via their relationship with clients. Inclusion as a methodology is most important for the bank, to co-create with clients on financial improvement plans with milestones. Koolos started by asking himself how natural capital could be made relevant for the bank. "We were not familiar with the concept of biodiversity or natural capital in our business. It’s a very important topic, so I started with some fact-finding: do we have any activities related to biodiversity? I found a lot of potential opportunities, and some initiatives that were not being taken advantage of. For instance, there were some activities with beehives and biodiverse gardening: some nice, but quite marginal activities. I came to the conclusion that we needed to facilitate companies with a more direct impact, like agri-business and real estate developers, by engaging conversations about biodiversity, supporting them to create a healthy business case and obviously, by funding them financially." "An important part of ABN AMRO’s business in Brazil is to provide credit to agri-business, like sugar cane and soy. We came to know about Instituto Life and together we analysed the biodiversity impact of our own operations in Brazil. We started a research project with them and IUCN to analyse how biodiversity contributes to the (financial) resilience of agri-companies. Extreme weather conditions and/or diseases put entire agri-companies at risk. Our hypothesis is that areas with more different species of plants and trees are more resilient and therefore have a higher resistance to droughts, storms and diseases. Because of the awareness and support of the group, I was able to move ABN AMRO towards an integrated agenda much quicker. This should lead to more stable cash flows and therefore a lower credit risk. If this is true, biodiversity leads to a more resilient environment for businesses and biodiversity becomes relevant for credit risk assessment of financiers and thus the cost of financing. The analysis of our own impact is done and we are now looking for compensation projects to turn our Brazilian bank into the first ‘biodiversity neutral bank’ in the world. The research into our hypothesis is currently taking place. We started to map the product chains in which we operate. Natural capital is not always one of the most material risks. In the cocoa chain, for example, the true human capital costs are much larger than the natural capital costs. The consequences of poverty, forced labour and child labour overshadow the hidden natural capital costs. This kind of research is conducted in cooperation with SHIFT and True Price." In the Netherlands, over 60% of the loans of ABN AMRO are in real estate, both residential and offices. The agenda for sustainable commercial real estate is focused on achieving reductions in energy consumption. A dialogue with clients is organised and clear targets are being set. The next step is to stimulate the circular economy. "We financed a number of circular projects in which our clients included biodiversity. We saw for example the relationship between circular real estate and biodiversity in the use of bio-based materials, saving energy and the avoidance of wase. Another relationship is the value of increasing biodiversity in and around buildings; the price of houses goes up if they are close to nature. It is a quest that we are undertaking starting with some of our trendsetting clients. Our experience is that Real Estate CEO’s with a vision on sustainability create a better return on investment. The benefits are higher whilst the risk is lower. In addition, we are experimenting with one of our own buildings, as a result of the Green Deal Circular Buidlings (in Dutch) that we participate in. The good thing about these developments is the positive agenda, it’s about creating impact and that energizes people." ABN AMRO is one of the frontrunners that formed part of a Community of Practice of Financial Institutions and Natural Capital (CoP FINC), which aimed to accelerate the transition to sustainable finance. This solution is part of a larger series of best practices that resulted from this CoP.